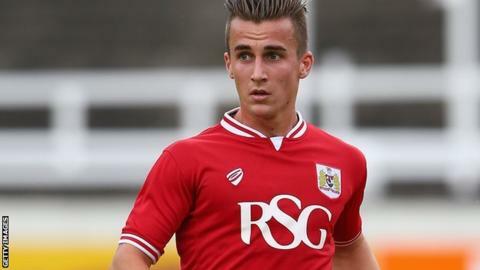 Bristol City wing-back Joe Bryan says the squad never doubted their quality after earning their first win in the Championship since being promoted. Bryan scored the winner as City won 1-0 at Middlesbrough on Saturday. The Robins had lost two and drawn one of their opening three matches back in the second tier. "We have been playing well - the results don't show that but we've been dominating games in phases," Bryan, 21, told BBC Points West. "It was only a matter of time before we did win. It was through sheer hard work, determination and sticking together and we're happy to have achieved it." Bryan, who scored seven times in 2014-15, now hopes last season's League One champions have laid down a marker to the rest of the teams in the Championship that City can be a force in the Championship. "We went up and people weren't expecting us to win but we were as that's our mentality," he said. "When you go to these places you want to prove a point and show you can mix it with these teams and we did that. "They are a very good team and will do well this year. It gives us confidence and is something we can build on now." "Sometimes it'll go in," he said. "Sometimes it'll go off the pitch - very high and very wide." Bolt's gold his greatest miracle?